Pokémon Go has hosted an amazing summer full of events, and it’s celebrating all of its successes with an action-packed September. From September 13th to September 20th, 2018, trainers will be able to battle against the Kanto region’s Legendary Bird trio. Articuno, Zapdos and Moltres are all returning to raid battles at the same time, giving more players an opportunity to catch one of these rare Pokémon — or get some more candy to power their existing Legendary Birds. During the same week in September, regular Kanto Pokémon are also going to be more commonly available, giving players an opportunity to fill out their Kanto Pokédex — and catch an elusive Lapras. On September 20th, starting at 4pm ET, Mewtwo, the rarest monster in Pokémon Go, will also be coming to regular raid battles. Players won’t have to worry about EX Raid passes this time, since the legendary is staying in the game until October 23rd, 2018. Here’s another groundbreaking Ultra Bonus Event surprise! Trainers will soon have the chance to hatch Farfetch’d, Kangaskhan, Mr. Mime, and Tauros from 7 km Eggs. Get your walking shoes ready, as these Pokémon rarely migrate to many parts of the world. On top of this colossal announcement, Niantic will be adding regional Pokémon Mr. Mime, Kangaskhan, Tauros and Farfetch’d to seven-kilometre eggs starting on September 20th as well. Besides Mewtwo, these regional Pokémon are extremely hard to catch, since they require player to travel around the world. Niantic’s September 2018 Pokémon Go event is geared towards making sure that players catch all the first generation Pokémon. 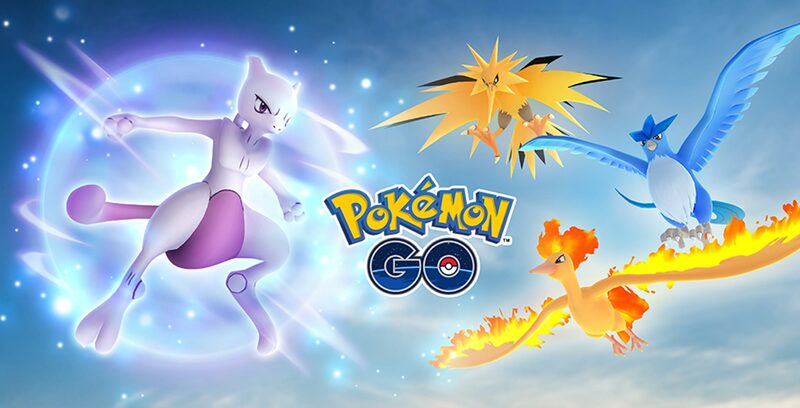 The event could also be an indication that Pokémon Go will start focusing on new legendaries from generation two or three in the coming months.